Kate Middleton and Prince William are reportedly having a baby girl. Hollywood Life reported on Thursday that the November 24 issue of Life & Style magazine will announce the news that the 32-year-old duchess is currently carrying a girl for her second pregnancy. An insider reportedly told the magazine that the royal couple is thrilled about the exciting news. The royal insider even went as far as saying just how the Queen feels about the news as well. Kate Middleton has already passed the halfway mark of her pregnancy, so the fact that Kate Middleton and Prince William’s firstborn child (Prince George) might have a little sister on the way is exciting. If this particular baby news announcement is true, the Duke and Duchess will have plenty of time to plan and coordinate the nursery for their first daughter. However, no one should expect Kate Middleton to buy a lot of traditional pink decorations for her daughter’s first bedroom. One royal insider claims that Kate will more than likely be taking a different route with different colors. During the early stages of Kate Middleton’s pregnancy, she started battling with hyperemesis gravidarum — a condition that causes severe vomiting in pregnant women. The Daily Mail reported that Kate Middleton’s sickness escalated to the point where her aides were forced to cancel many of her engagements. Middleton relied on her mother, Carole Middleton, to help her take control of her recovery process, in addition to looking into alternative cures and treatment options for the sickness — including herbal tea. 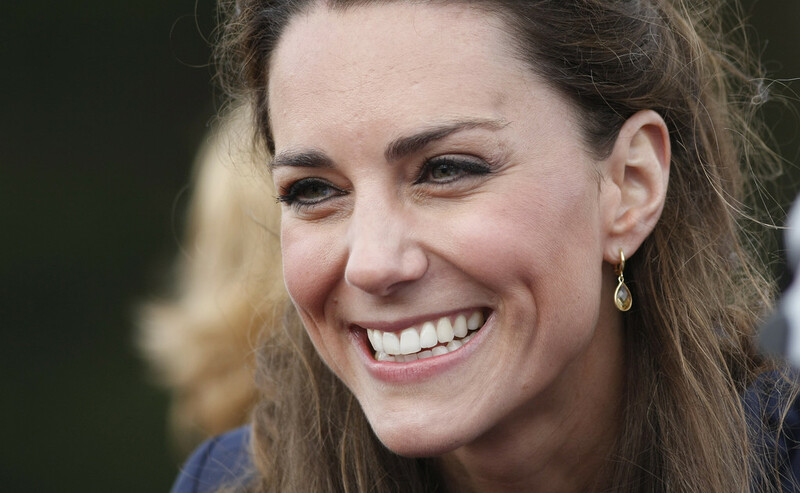 This was not the first time Kate Middleton experienced hyperemesis gravidarum; she was diagnosed with the same condition during her first pregnancy with George. However, her doctors were more prepared to help her take control over the condition the second time around. Kate Middleton and Prince William first met back in 2001 at the University of St. Andrews. They started dating two years later in 2003, but broke up in 2007. During a 10-day journey to the Lewa Wildlife Conservancy in October of 2010, Prince William and Kate Middleton were able to confirm rumors of their relationship being taken to the next level by getting engaged. Kate Middleton officially became the Duchess of Cambridge on April 29, 2011, when the two were married in Westminster Abbey. More than two years later, in July of 2013, Kate gave birth to George. Are you excited about Kate Middleton and Prince William’s new addition? Do you think the news about their new bundle of joy being a girl is true?